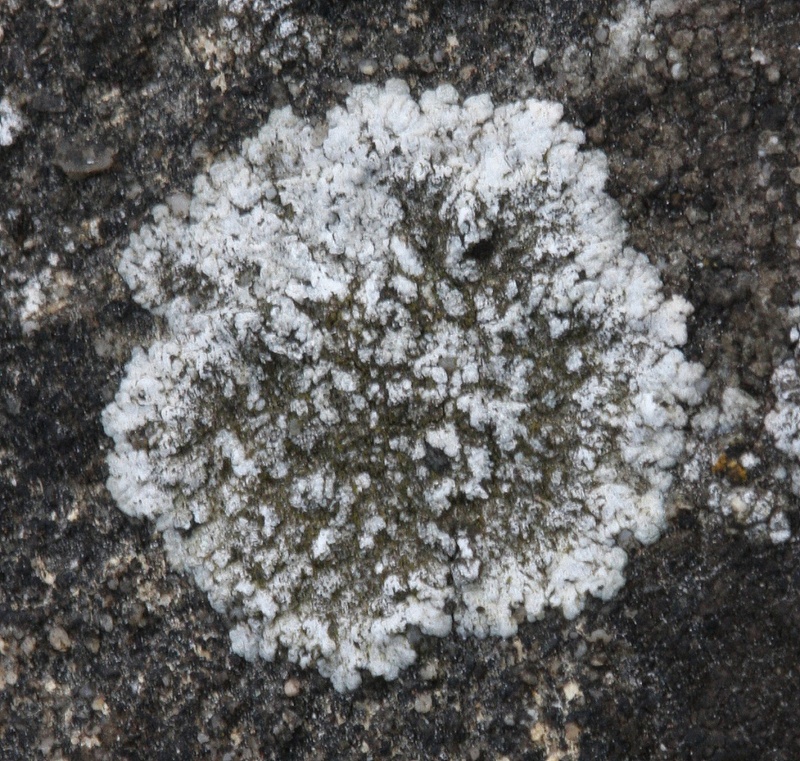 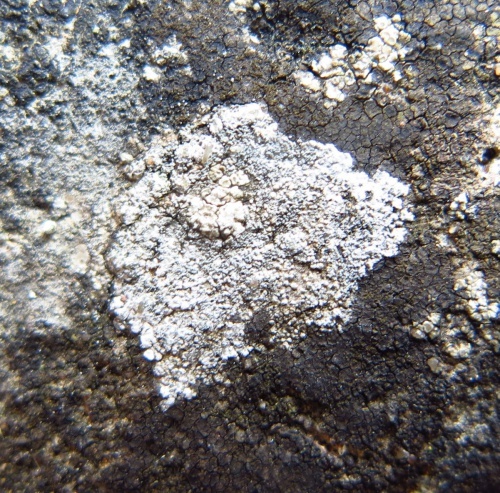 Thallus white to whitish grey, corticate at least when young, forming irregular to rounded crusts, irregularly and sometimes rather obscurely lobed at the margins, surface scurfy, eroding towards the centre to become granular (soralia not clearly delimited); apothecia uncommon, orange to red-brown, scattered and initially immersed in the thallus surface. 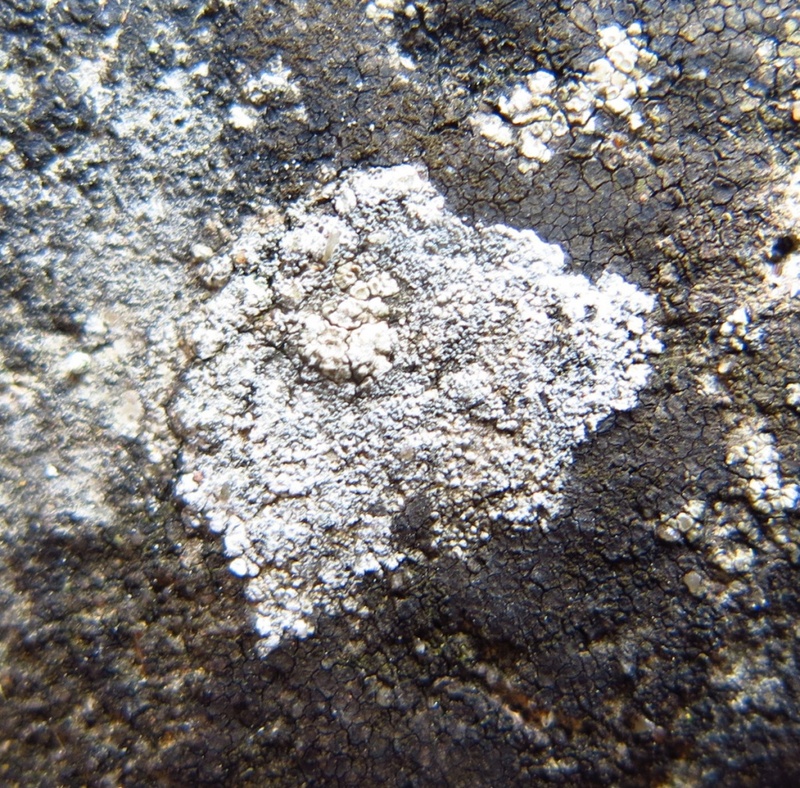 On calcareous rocks, walls and monuments. Widespread, but with few records from the north or west of Britain.